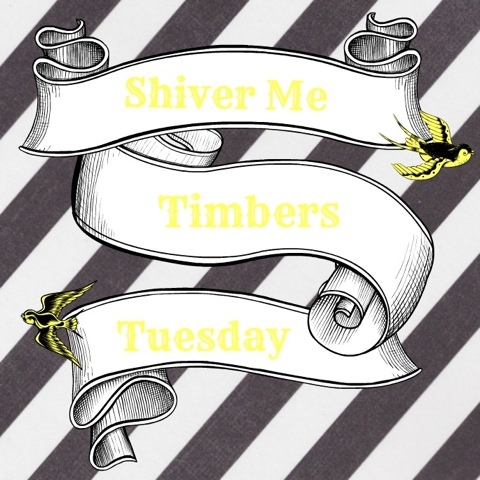 Normally I am able to come up with a theme for these Shiver Me Timbers Tuesday posts, but The First Mate was really allover the place this month. So let's just enjoy the randomness of toddlerhood. 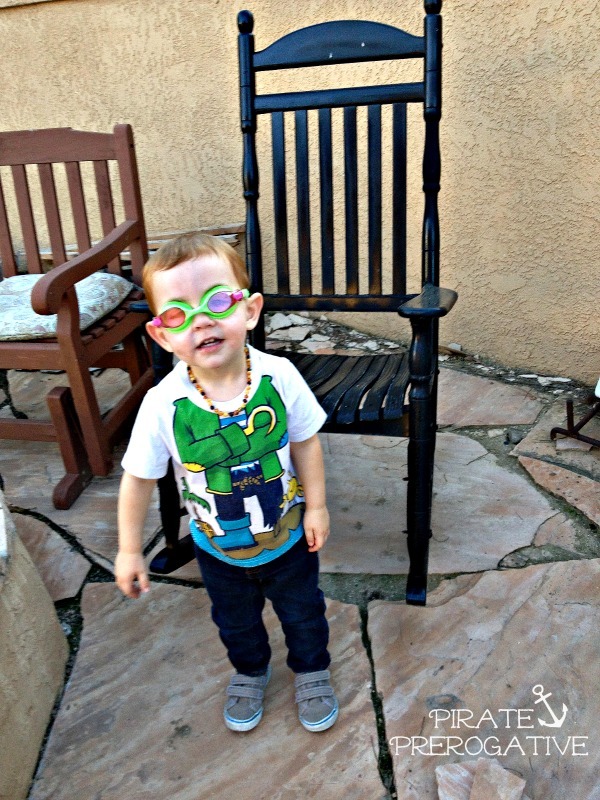 Apparently these goggles were required to help him "fight bad guys." Who am I to argue with that? It's not all fighting though, there is certainly time to spread the love too. 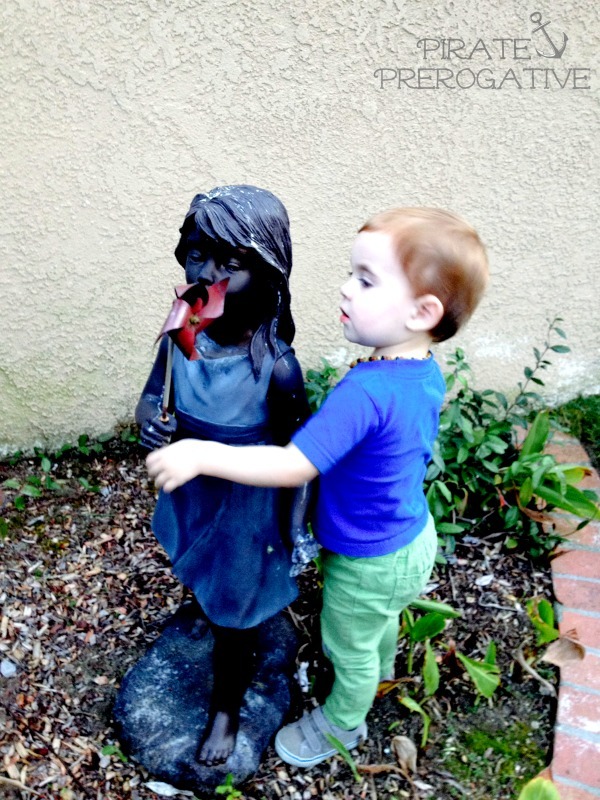 I'm not sure if he is hugging the statue or stealing her pinwheel, honestly. 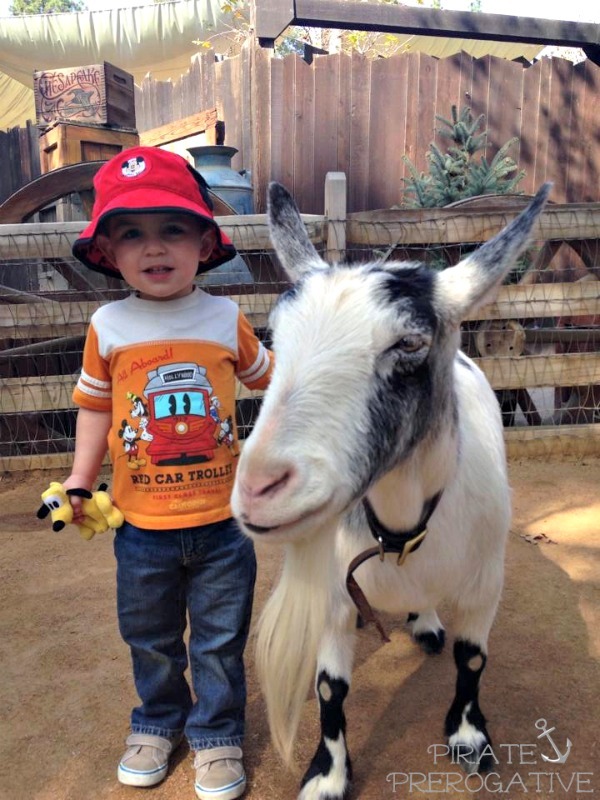 There was definitely love for this goat though. I mean check out his sweet goatee! 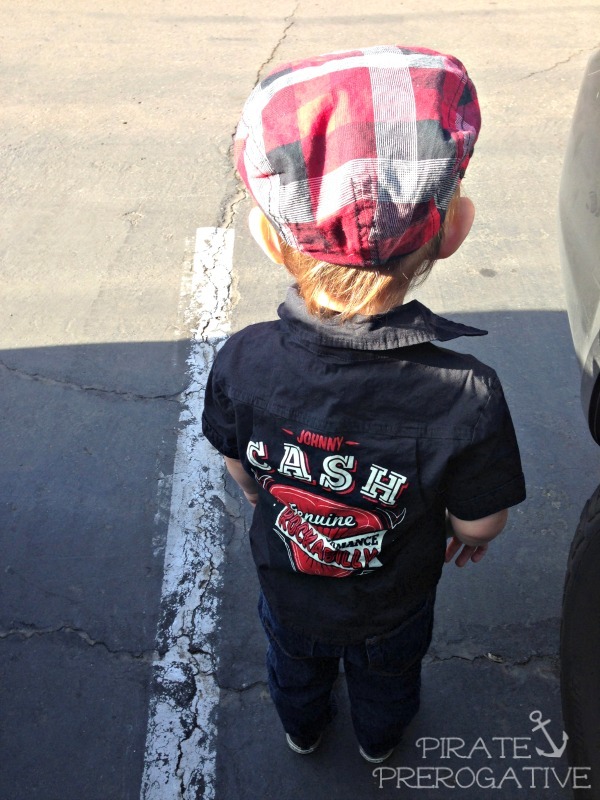 Even two-year-olds can sense that kind of awesome. At some point The First Mate became an adorable little rockabilly kid. This might be the be the cutest thing ever. Wait, I think this video of him performing Johnny Cash's "Ring of Fire" might be actually be the cutest thing ever. No matter what TFM decides to do, it's sure to make me smile. What did your child do that you that made you smile? Love his little plaid hat! Some days I'm certain G is lucky he's cute. These toddler tantrums are for the birds. Thanks. Yeah, it's not even a matter of good day v. bad day anymore. It's mood swing toddler here. Fine one minute and a monster the next. Rumor is three is WORSE!